Theme: The theme of the 2019 Contest is ILLUSION. All entries must depict this theme, originally interpreted. It is not necessary to include the word. Fiction must comprise a complete story within the word limit. Contestant Eligibility: The contest is open to members of SLO NightWriters, except for Contest administrators and judges. Contestants may not win for the same story in more than one category. Entry Eligibility: Entries must be the original unpublished works of the authors and not previously accepted for publication. Entries that have previously won a contest prize are not eligible. Non-published pieces written on-line that are not for sale, e.g. a blog site, are eligible. Prizes: All contest entry fees will be used to provide cash prizes to the first and second place winners in each category. Applicants may enter more than one category and submit more than one entry in any category. An entry fee must be paid for each entry. Entries will not be returned. Payment of contest entry fees confirms you have read, understand and agree to the terms of all contest rules. Payment: Payments may be made online (credit card needed) or by check. To pay online, go to www.slonightwriters.organd go to the GOLDEN QUILL CONTEST 2019 page. At the bottom of this page, click on the payment logo. Deadline: The contest deadline is August 1, 2019, 11:59 p.m. All entries must be received prior to midnight on this date to be eligible. All entries must be paid in full by this date to be eligible. Judging: Contest Judges will score each entry. Judging will be blind – the contestant’s name will not be included with the entry. A standardized quantitative scoring sheet will be used by each judge. The decisions of the judges are final. · All entries must follow this formatting. Submissions that do not comply with these instructions will be disqualified. · Use 12-point size Courier, Times New Roman or Ariel type font only. · PDF or Word .doc or .docx formats are preferred. · Fiction and Creative Non-Fiction must be double-spaced with a minimum of 1” margins all around, and include page numbers. · Poems may be creatively spaced and formatted; include page numbers if needed. · The header of each page must include the title, entry category and word/line count only. · A cover page indicating the author’s name, entry category and entry title should be included with each entry. DO NOT PUT YOUR NAME ON THE ENTRY ITSELF. Notification: The first and second place winners in each category will be notified by September 1, 2019. Announcements: Winners will be announced at the SLO NightWriters meeting and Awards Ceremony September 9, 2019. Winners will be given an opportunity to read their entries at the meeting. Publication: All rights belong to the authors. 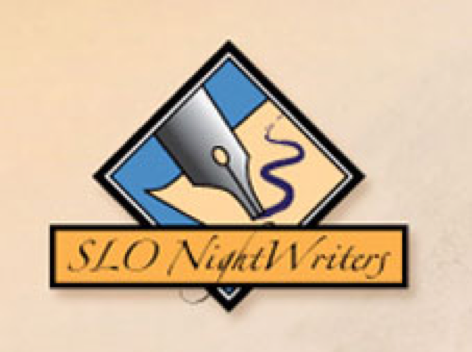 Winning contestants will be announced on the SLO Nightwriters Golden Quill Writers Contest and SLO NightWriters websites. Contestants may have the opportunity to have their winning entry posted on line as well. Be sure to attend the September 10th General Meeting to see our winers receive their certificates and to hear them read their winning entries.